Not committed to a life-long tattoo or just want to see what a design looks like or its fancy dress time, Tattooed NOW! 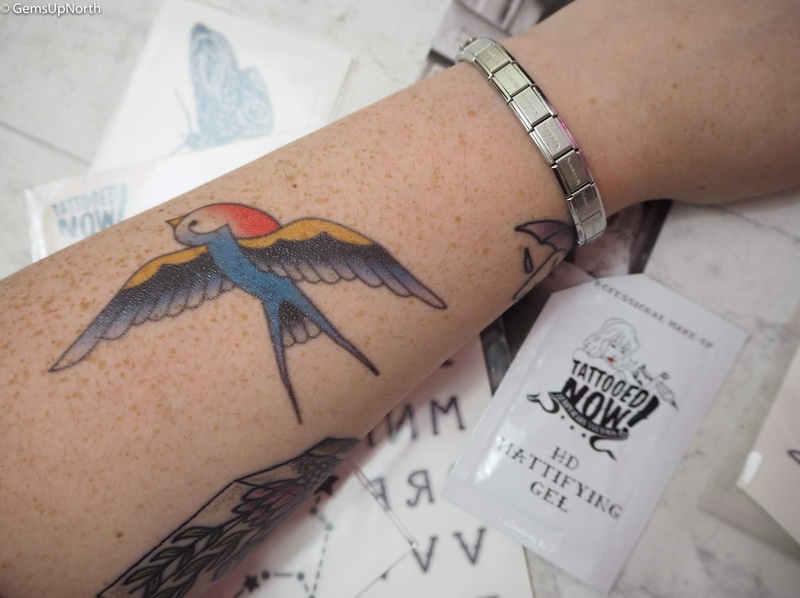 create realistic looking temporary tattoos... and they actually look pretty damn real!! I was recently sent some of Tattooed Now! * designs to try out and being curious as to how real they could look against my actual tattoos I went ahead with the chance to sample them. Tattooed Now! 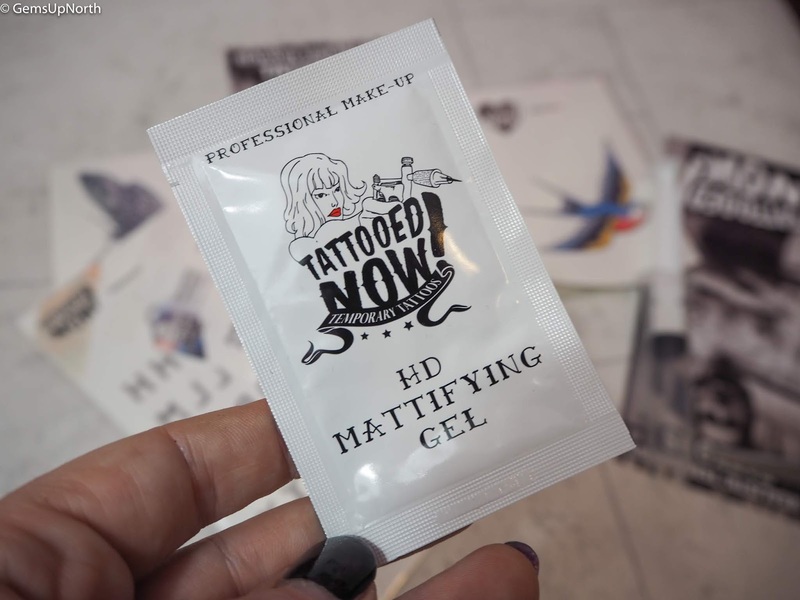 are designed by tattoo artists and designers so they are hand-drawn then printed slightly out of focus. This creates a realistic look once applied that's just like real ink sat under the skin. Not only do Tattooed NOW! 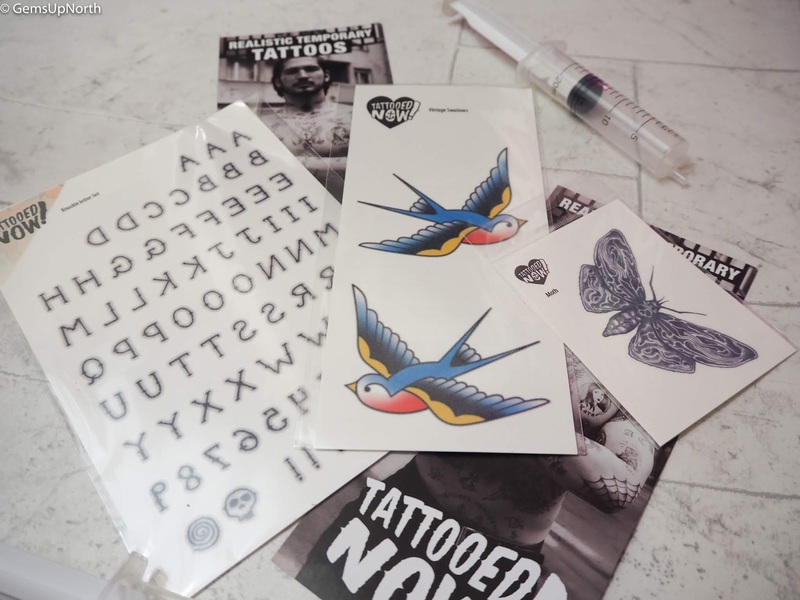 have an extensive range of designs to choose from they also make custom designs so you could sample your tattoo with a temporary one before booking in for that real tattoo. 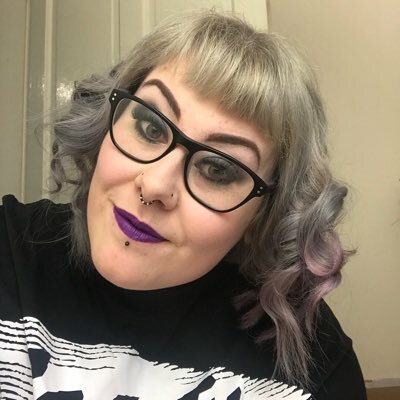 Seen a celeb in a movie or film with tattoos, it could of been Tattooed NOW!, they have created lots of designs for the film and TV industry, think Game of Thrones! 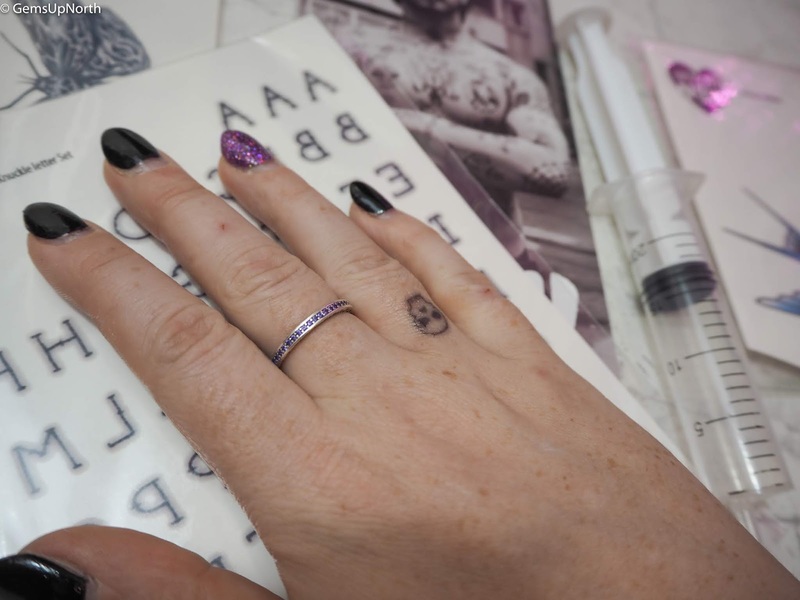 To be honest I was sceptical at first, having used temporary tattoos as a kid and having a sticker like effect on my arm or leg wherever they might be. I have many real tattoos all over my body and decided to apply my first design near one of my newest tattoos. The results were pretty impressive, applying was just as easy as I remember, adding water to the transfer then waiting 30 seconds and sliding the backing sheet off. 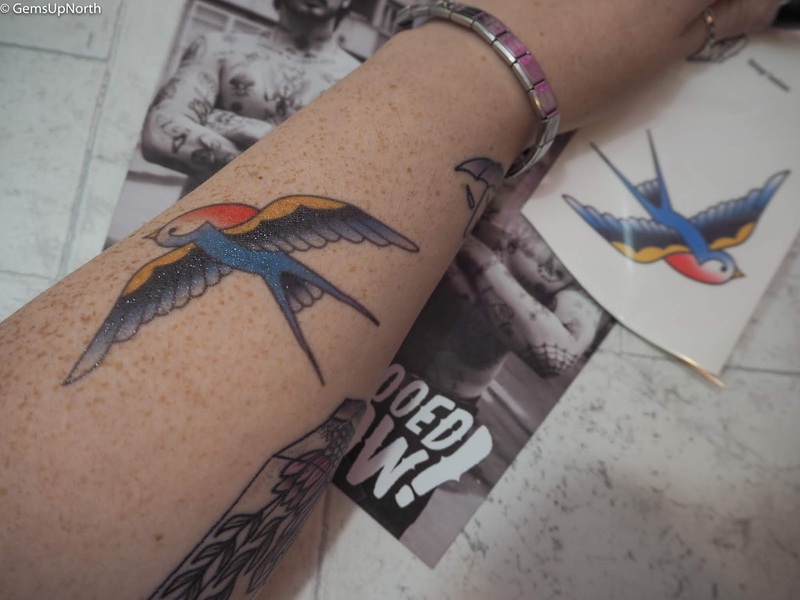 I was left with a decent looking tattoo of a vintage swallow* on my fore arm, at this stage the temporary tattoo was quite shiny even after drying but Tattooed NOW! have thought about this and supplied a mattifying gel which gets rid of the shine making the tattoo look even more realistic! Next to my real tattoo I think the temporary tattoo could fool a few people and make people give a double take but the slight bit of shine still left on the temporary tattoo does give it away when super close up. However I believe if I didn't have this next to an actual tattoo, no one would know any different. I went ahead and applied one of the mini skulls from the letter designs* to my finger and again this looks pretty realistic and old-school style. The skulls looks like its been there for years which again creates a realistic look that could fool everyone! 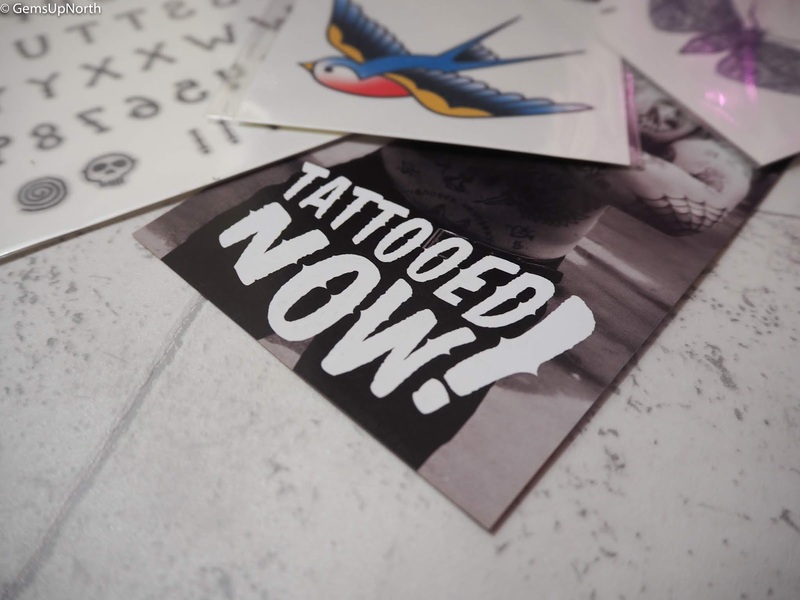 For anyone wanting to fool your family and friends, play dress up or just try out your first tattoo design, head over to the Tattooed NOW! 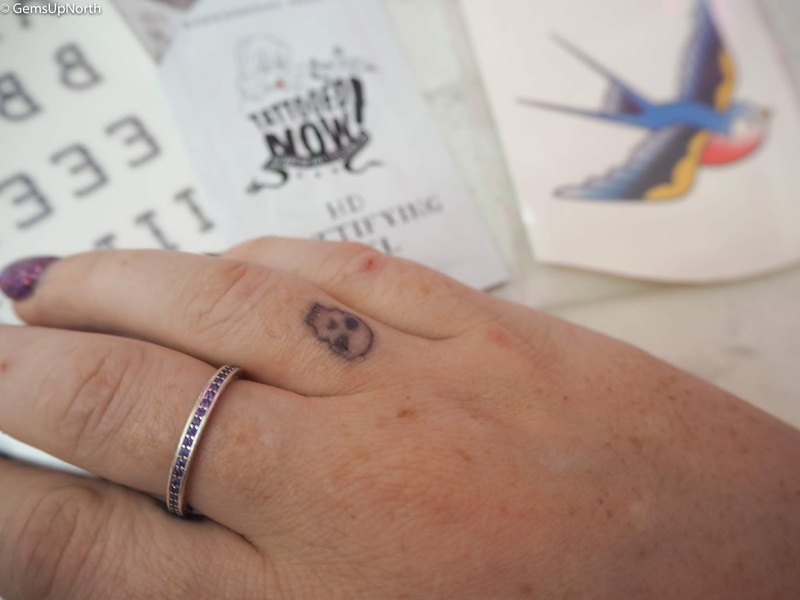 website and order your temporary tattoos NOW! *Tattooed NOW! items were gifted but all thoughts/opinions are my own, see my disclaimer for more information.